I read a story about the earliest steam driven carriages – forefathers of automobiles – and was surpised by the weight IP had already then.The story is about a guy showing how the carriage maker has been a bit too kind in describing what his own carriage is capable of (nothing changed there).What caught my eye was the huge plate on the side of the lumbering mountain. A plate claiming that the machine is covered by “Churchs patent”. In those days a patent was the seal of quality, and here is an example of why not all that is patented is a good idea. The inventor – William Church – was a quite successful inventor in the typing area, but his adventures in transportation did not go well. 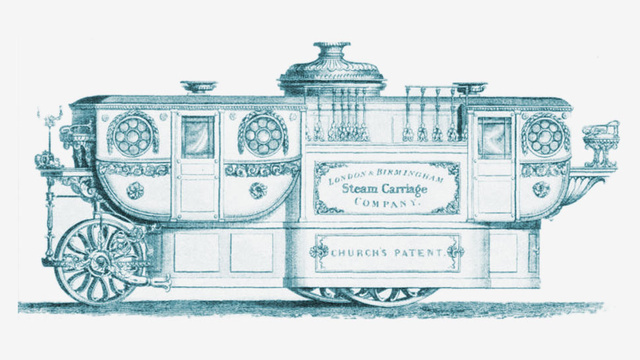 The steam carriages was outperformed by locomotives and the idea of personal autocarriages needed the combustion engine to be a competitive force.